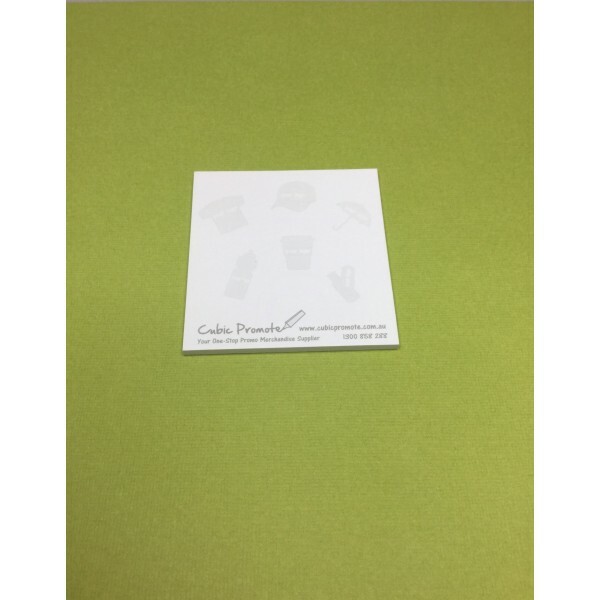 Outshine your competition and grow your business with the aid of these practical 50 mm x 75 mm sticky note pads made from 100% recycled paper. This cost-effective marketing tool can be branded with your company logo (cost includes one-colour printing of supplied image) and the easily portable size lends itself to multiple uses. Keep them in your purse, brief case, or car for those times when you quickly need to jot something down. These eco-friendly sticky notes are perfect for unobtrusively displaying phone numbers, computer passwords, website addresses, or simple notes. They can be used to affix to company invoices so that you can send a reference note to your accounting department. They can even be used to clean the keys on your keyboard. Use these clever sticky note pads as tradeshow giveaways-they will help drive traffic to your booth. Each sheet contains an adhesive backing that allows important messages to be posted to most surface areas, removed, and then re-attached if needed. Unlike tape that leaves a sticky residue, these clever sticky notes do not. The price includes the cost of the one-colour print customization, but does not include GST. We recommend limiting print area to no more than 50% of the page for maximum writing space for the end-user. All printing is done in Australia and product(s) can only be delivered to customers within Australia.